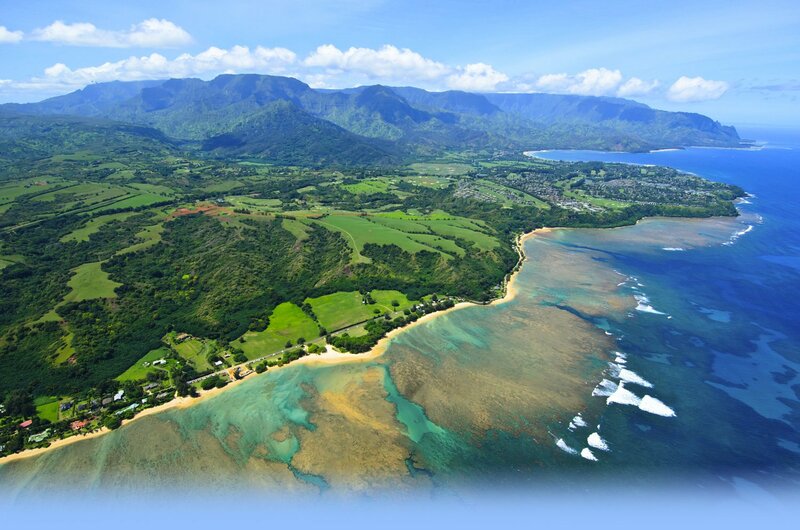 Shopping throughout Princeville at Hanalei, Kauai offers guests an amazing array of choices, especially given the rural, relaxed nature of the North Shore’s small towns, winding roads, majestic mountains and tropical forests. Guests have a variety of options, from the two boutiques at the Princeville Resort and the Princeville Marketplace at the Westin Princeville Ocean Resort Villas to two golf club shops and the Princeville Shopping Center. Be sure to check out the Ching Young Village and Hanalei Center in nearby Hanalei and the Kong Lung Historic Market Center in Kilauea. Both offer unique boutiques, including many featuring hand-made and locally produced items. Tori Richards, Ltd. is a resort lifestyle company founded in 1956. Today, the family-run business remains driven by an appreciation of unique fabrications and globally inspired prints. The artwork that informs the textiles is Tori Richards’ passion. A Tori Richards original is like no other garment. It’s part of the Richards legacy to create each exclusive new edition to be a delight to the eye, a pleasure to the skin, and a joy to the spirit. Open: 9 a.m. to 9 p.m. daily. Aaron Feinberg is an award-winning Kauai-based photographer whose fine art landscape photography has found acclaim worldwide. 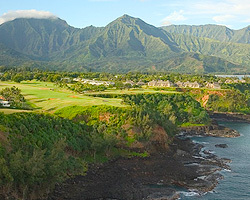 The Princeville Resort Gallery is the third Feinberg Gallery opened on Kauai. Feinberg’s passion for nature and understanding of light and composition allows him to capture photographs that reveal nature's true beauty and drama. Valerie Van Balen, a well-known Kauai jeweler, opened her fourth store in the newly renovated retail corridor off the main lobby. Featuring a luxury line of Tahitian South Sea Pearls, semi-precious stones and diamonds, this is the first of her Hawai’i stores to open under this name. Van Balen also owns the Majestic Gems store in the Princeville Shopping Center. Sundry stores usually carry all those things guests may have forgotten to pack, such as toothpaste, shaving cream, drinks and snacks. The Accent Store goes well beyond that, featuring high-end resort wear for men and women as well as health, wellness and beauty care products—many of which are created by local designers, artisans and small family producers. Accents also offers organic foods; jewelry; handbags; beach and pool toys for children; specialty gifts such as Hawaiian chocolates, wonderful Hawaiian honey and jams; local gourmet items; and books and magazines. The 1,100-square-foot store carries nearly everything you need to make your vacation even better. Making tropical soaps on Kauai for 25 years, Island Soap & Candle Works offers a large variety of handmade soaps, lotions, balms and candles. Open hours: 10 a.m. to 6 p.m. daily. Wonderful store with creative games, toys, activity kits, dolls, kites and a full selection of professional art supplies. Find specialty wines and cigars here, all at reasonable prices. Open: 10 a.m. to 7 p.m., Monday-Saturday; 1 p.m. to 7 p.m. Sunday. Find a nice selection of locally made jewelry, contemporary Hawaiian art and original paintings, both framed and unframed. Open: 9 a.m. to 8 p.m. daily. Locally owned and operated, Walking In Paradise offers a large selection of sandals, shoes, jewelry and exclusive collections featuring local and vintage Hawaiiana artists. Here’s a great place to pick up some Hawaiian music CDs, from traditional to contemporary, featuring such legends as Iz, C&K and so many more. Bali Hai is a full-service beauty salon. Walk-ins welcome. Open: 10 a.m. to 6 p.m., Tuesday to Saturday. Closed Sunday and Monday. A beauty boutique featuring a blow dry and make-up bar. Carrying high-end luxury skin care and make-up products. A local underwater photography and art studio. Open hours: 9 am - 6 pm, daily. Come in and experience the sensual and nature-inspired jewelry at Grande's Gems Hawaii. Feel the warm tropical breeze and the fragrant smell of plumerias tingle your senses. Explore Tahitian and South Sea Pearl covered beaches filled with exotic sea life. Take a romantic journey with us through tropical green Tourmaline and Peridot rain forest to the Aquamarine blue lagoons and out to the Tanzanite Indigo Pacific Ocean. Feel your temperature rise standing next to the Fire Opal lava volcanos. Grande's Gems Hawaii–unique, inspirational and one of a kind. Family owned since 1982. Pearlized Capiz shells are found in the crystal clear waters of the South Pacific Sea. These translucent shells have been fashioned entirely by hand to create this charming decorative item.Delightful ornaments to dazzle your windowsills. Affordable Gifts!Isabella's & Kauai Suncatchers is a locally-based family-run merchant specializing in finely crafted Art-glass style Decor. Reminiscent of the Tiffany movement, these creations offer deluxe decorum at affordable prices. Adorn any window in your home of office with a Kauai sun catcher and revitalize your view! Purveyor of first class Sunglasses, Jewelry, Gifts and Beachwear! Live at Little, LLC, offers a wide variety of fashionable beachwear accessories at the Princeville Center food court, behind the U.S. Post Office.